Automotive advertising is starting to rebound and this is being strongly attributed to online advertising. This was the result of a recent study from Borrell Associates that forecast a 39 percent increase in online media buys by the auto industry for 2012. This substantial increase is 13.8 percent higher than last year’s online auto spend. 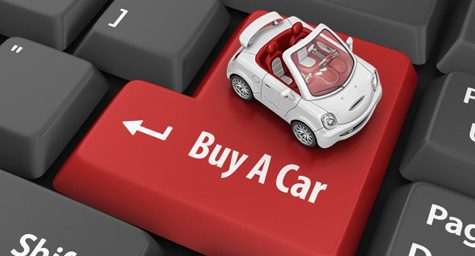 NetNewsCheck.com reported more on how online advertising is getting automakers back on track. “By the end of 2012, almost 40 cents of every auto ad dollar will be spent on digital media, and that trend will continue—largely unabated—through the foreseeable future,” according to Kip Cassino, executive VP for the research firm. As a result of the new budget allocation, the study predicted a greater shift in ad dollars away from traditional media, including decreases of 17.5 percent for radio, 9.7 percent for Yellow Pages, 8.4 percent for direct mail, and 3.1 percent for magazines. Interestingly, the largest contributors to the online advertising budget will be franchised auto dealers supplying 56.9 percent of the total. The second-largest contributors will be the actual auto manufacturers with a 27.4 percent share. The leading single recipient of these online advertising placements will be Autotrader.com, earning 12 percent of ad dollars, followed by television websites, newspaper websites, and Yahoo Autos. The remainder and majority of the online ad budget will go toward a variety of digital outlets, each receiving less than 1 percent of the total. These include MotorTrend.com, CarsDirect.com, and Automotive.com. To discover the latest ways to use online advertising to increase lead generation and sales, contact MDG Advertising today at 561-338-7797, or visit mdgadvertising.com.